The Exhibition: Pompeii and Europe. 1748–1943. 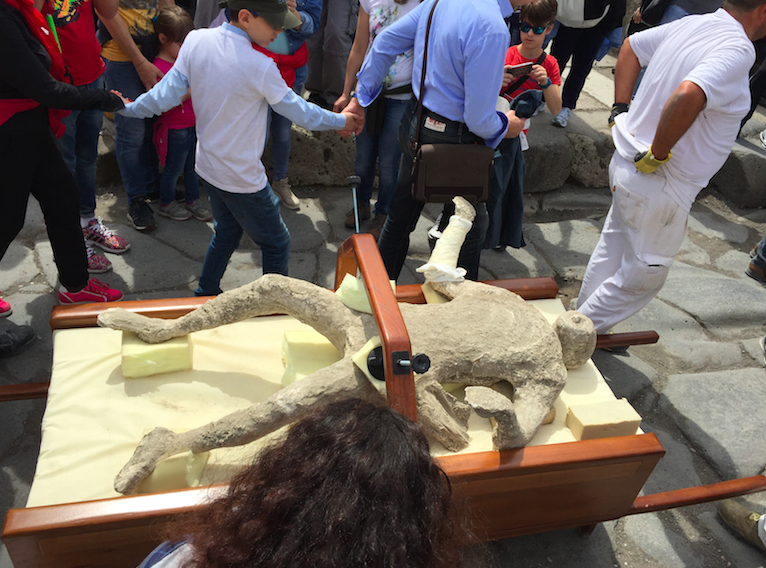 28 May 2015 13:51 / 1 Comment on The Exhibition: Pompeii and Europe. 1748–1943. 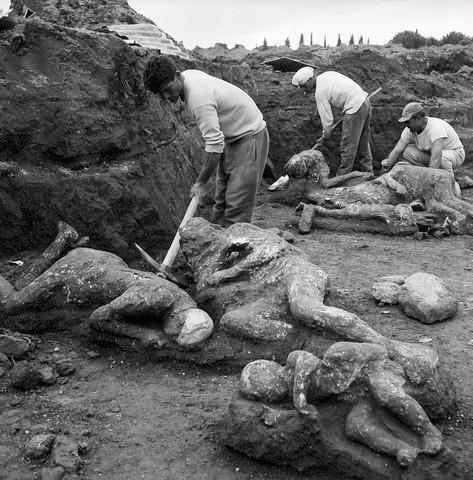 A great exhibition project to recount the fascination that the archaeological site of Pompeii held for artists and the European imagination, from the start of excavations in 1748 to its dramatic bombing in 1943. Pompeii and Europe. 1748–1943, the exhibition devised by the Superintendent for Pompeii, Herculaneum and Stabiae Massimo Osanna, unfolds along a twofold route, at the National Archaeological Museum in Naples and simultaneously at the Amphitheater in Pompeii. 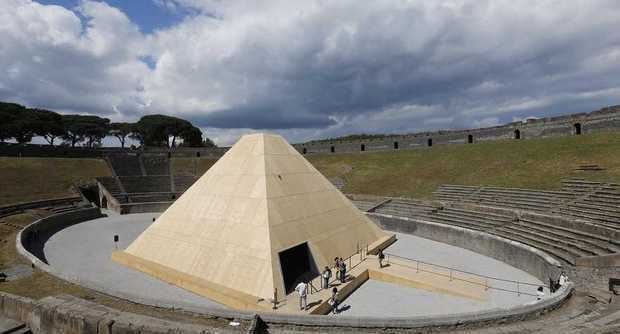 A temporary 12-metre wooden pyramid will house exhibition on Pompeii. The installation was designed by renowned Italian architect Francesco Venezia. The plaster casts are placed in the centre, while the exhibition also features archival photographs documenting the work in the excavations in the 19th and 20th centuries. BOOK YOUR GUIDED TOUR IN POMPEII WITH US! 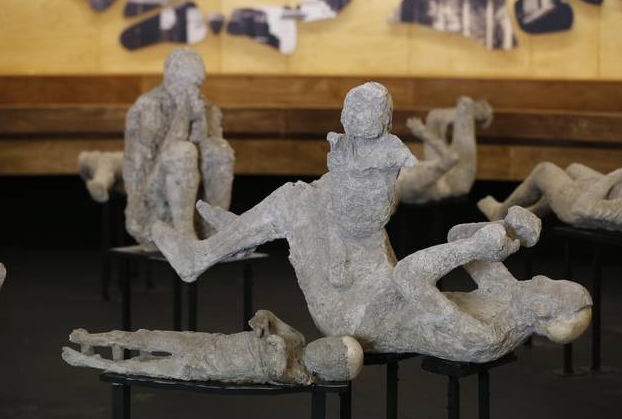 The plaster casts of Pompeii will be transferred to the restoration laboratory of the Superintendence Department in order to be studied with X ray investigations and scanner reconstruction. The restoration of the Vesuvian ancient inhabitants is provided for the Great Pompeii Project and more than twenty of them will be on view at the exhibition “Pompeii and Europe. 1748-1943” planned on May 27th in the Amphitheater in Pompeii. This great exhibition project will collect testimonies from the first excavation in 1748 to the dramatic bombing of 1943. Giuseppe Fiorelli (1823 – 1896 Naples) was an Italian archaeologist. 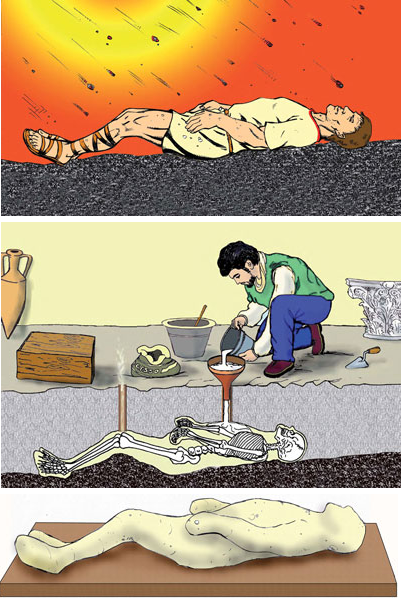 He was director of the excavations of Pompeii after the unification of Italy. He conducted excavations in a systematic and scientific rigor, reorganized the archaeological area in regiones (quarters) and insulae (blocks). 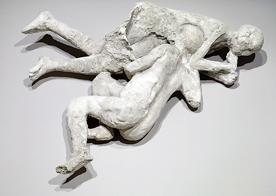 It is due to his intuition the possibility of obtaining plaster casts of the victims of the eruption. 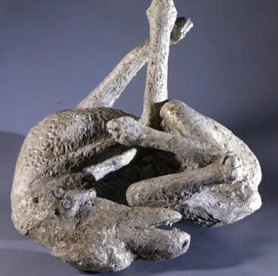 The Giuseppe Fiorelli’s technique consists in pour liquid plaster into the vacuum left in the ash when the bodies had decomposed to recreate the figures at the moment of their death. This technique can be used for any material that decomposes, particularly wood, it has allowed to be made of doors, windows, stairs and other parts of the houses in Pompeii.